Sarah Jane Morris is still best-known as Jimmy Somerville’s co-vocalist on the Communards’ 1986 smash hit, ‘Don’t Leave Me This Way’. But her long, vibrant and varied career also includes fronting numerous bands playing blues, Latin, folk and jazz, roles in musicals and other stage work, modelling, voiceovers, activism and several trips to the Fringe. Morris is so enamoured with Edinburgh that she’s already eyeing it up as a retirement destination. This from a woman who has lived in 36 houses in her lifetime and admits that ‘as a musician, you don’t really get to retire, you just carry on until you drop’. Morris came relatively late to songwriting but she’s justifiably proud of her latest album which will form the backbone of her Fringe gigs. Bloody Rain is a suite of originals and covers inspired by the sounds and social issues of Africa, from state-sanctioned homophobia to forced marriage. 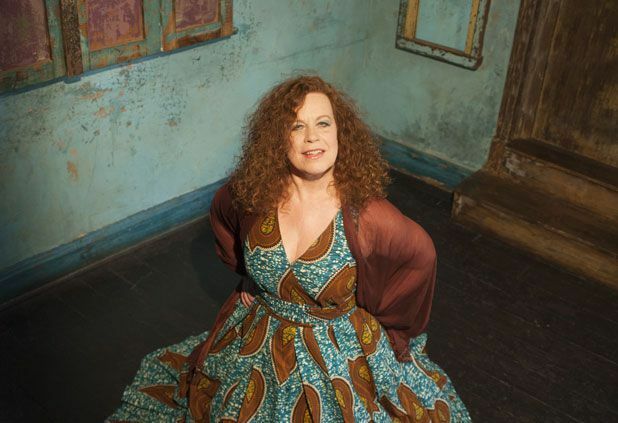 Sarah Jane Morris: Bloody Rain, Assembly Rooms, George Street, 0844 693 3008, 13–15 Aug, 1.45pm, £12.